The Nobel Prize in Chemistry, 2000, was awarded to Heeger, MacDiarmid and Shirakawa "for the discovery and development of electrically conductive polymers." However, there were several forerunners to these distinguished chemists. 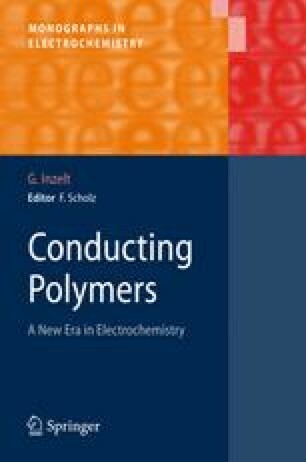 The most important representatives of the family of electrically conductive polymers, polyaniline and polypyrrole, were already being prepared by chemical or electrochemical oxidation in the nineteenth century. In fact, the discovery of polyacetylene in the 1970s—which had no practical importance but helped to arouse the interest of researchers and the public alike—was another episode in the history of conducting polymers. The story of polyaniline is described here in detail.